In the past I would burn candles but now having kids, candles are a rarity because of all the dangers they bring into a home with children. 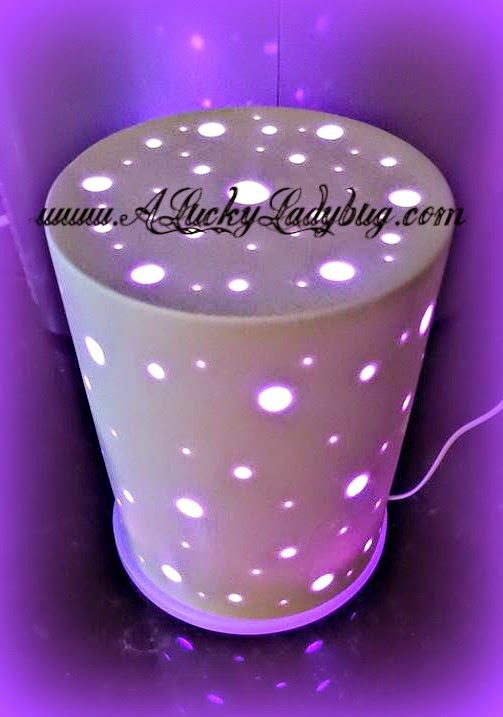 Recently, I learned about aroma diffusers and was pumped to give them a try! Being that we also run a humidifier in both of the kids rooms, I figured this might be a useful combination of both products. I was thrilled when ZAQ agreed to work with me for the Ignite Your Senses event by sending me over the Galazy Oil Diffuser. Right away I was pumped about the design of this beautiful diffuser as it fit right into the M.O.O.N. (Make Our Own Network) theme. "Artfully made of ceramic, the Galaxy is inspired by the mysterious beauty of outer space." 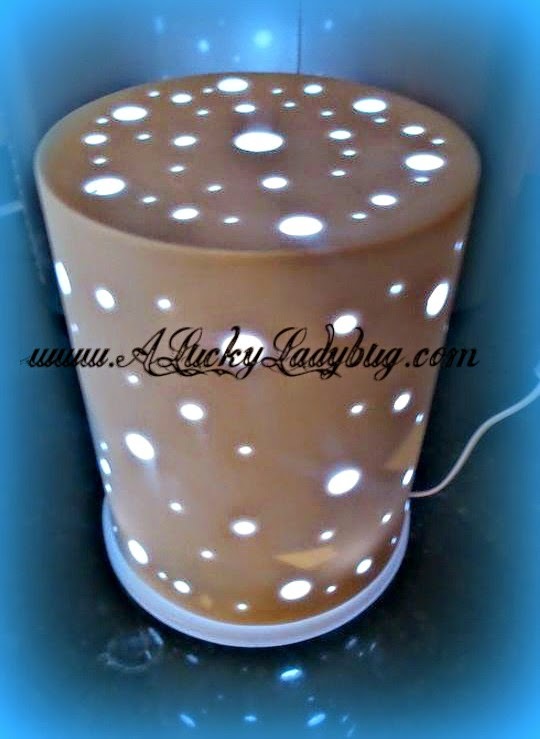 This diffuser fits with just about any decor in your house near a plug and is energy efficient. All you need is to add water to it's large 200ml tank and a few drops of essential oils to enjoy a subtle scent around your home. Then, the lights start to change colors glowing through the craters (holes) creating a soft glow relaxing any one close by. 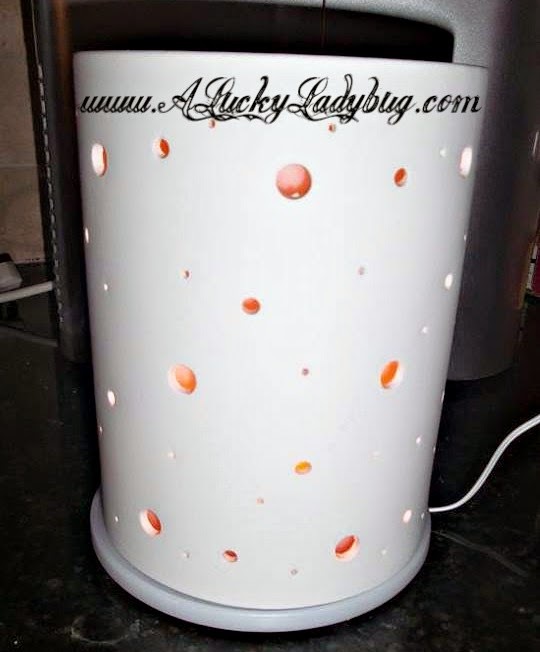 This makes for the perfect night light/scent diffuser/humidifier for any bedroom in my opinion. Recommendation: Depending on your need for air freshening, I would recommend giving these a try. As far as pricing goes this definitely seems high but it is truly beautiful and has multiple functions. These are still much safer for your home and are much more worth the money! 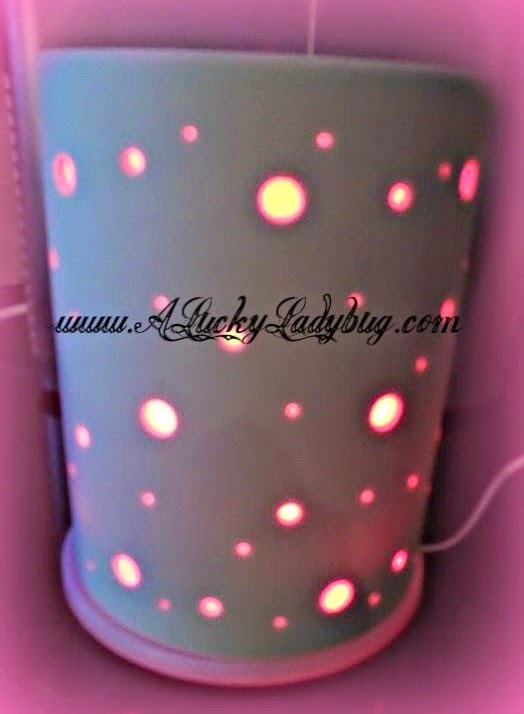 Giveaway: ZAQ is going to give one of A Lucky Ladybug's lucky readers a Galaxy Ceramic Aromatherapy Diffuser to have of their own! The oil diffuser looks amazing. It looks like it makes light reflections like one of those balls you used to see at school dances. I have used candles and a candle warmer, but this seems healthier than melting wax. Here's hoping I win! Thanks! I am most excited about the diffuser. I have been looking for a good diffuser and I really like how this one looks. I have a diffuser but it's gathering dust and this one looks much better with all those holes to make interesting light patterns on the ceiling and walls. Thank you for such an interesting and informative article. One of the best articles on the subject that I read ! !